Thailand Cable Manufacturers produce many types of cables and wires not only for the domestic market but also for export abroad. Wiring, Cables and wiring harnesses for cars, trucks and motorcycles is quickly becoming a very important sector of the cable industry in Thailand. The Thai cable manufacturers not only produce for the domestic market but have products available for export. Of course China is one of the main places for sourcing cable products but Thailand has some good high quality cable manufacturers. Many foreign companies have set up cable factories in Thailand to meet the ever increasing demand for wire and cables for the building industry, Computer industry and especially for the local booming Automotive industry. Bangkok Companies is a full service product sourcing company in Thailand. For All your wiring and cable needs please email bangkokcompanies@gmail.com with your requests. Thai Car Show Automotive Products Co.,Ltd Thailand Thailand manufacturer of wiring harnesses and Starter Cable Sets for the Automotive Industry. Importer the cabling products and supply in Thailand, the product as following: Utp cable, bas cable, fire alarm cable, and bnc connector, fiber optic cord, utp patch cord, fiber accessories, smoke detector, heat detector. Etc. Our company established in 1980. We are a wires and cables manufacture. Moreover, we had expand our business to diversify the risk to be a corrugated carton agent as well as DVD- R, CD- R distributor. We're MST, manufacturer of low reactance cable that used with resistance spot welding such as kickless cable, water cooled cable, air cooled cable. In Thailand auto-parts manufacturer used our goods up to 65% of this segment. N. R. Engineering Co. , Ltd.
We are N. R. Engineering Co., Ltd. is one of the leading wire and cable supplier company and exporters in the Asia. The wire and cable factories, a science and technology development center and an Imp. / Exp. Company, our current turnover is over USD 40, 000, 000. 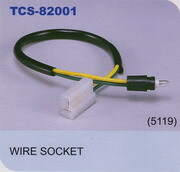 And we can supply wires, cables and accessories according to different requirements from customers. Our audio shop has started business in Thailand about 20 years and well-known in Audio market in Thailand. Now we decide to sell our products across the world. We manufacture AC power cable, AC power box, loudspeaker, pre-amp, power-amp and integrated-amp. Type of amp are various from tube, transistor, opamp and hybrid opamp-transistor. The opamp-transistor is our killer-apps. For preamp, it has over 4 MHz frequency responses. We choose every part delicately including wire inside the box. All is non-Chinese made high grade OFC cable. The Thai Car-Show Automotive Products Co., Ltd. was established in 1991 and continues to be a new leading company in Southeast Asia and in the global marketplace. We provide professional service to our clientele with quality auto parts and excellent customer support. One of our best-selling products is providing businesses with starter cable sets for motor vehicles. We are, Thai Steel Cable (TSK) A leading manufacturer of control cables and window regulators for all major automotive, motorcycle and automobile parts related company in Thailand.